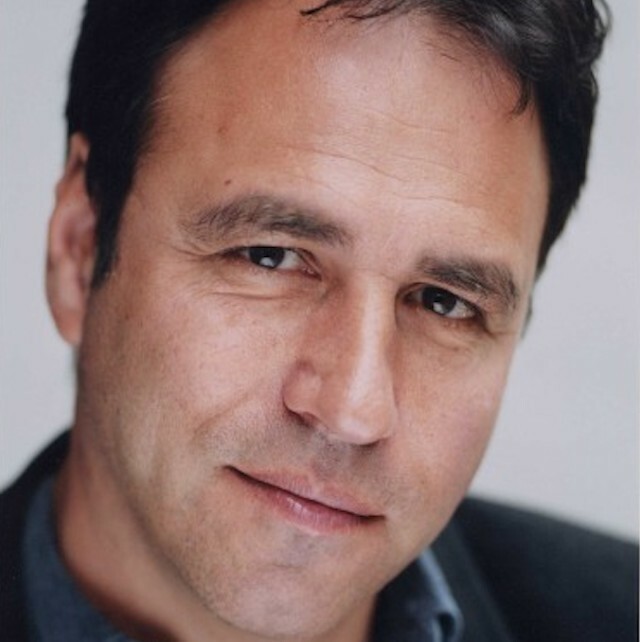 Anthony Horowitz's speciality is death. Grisly, murderous death. Thankfully, its fictional — the writer of TV series Midsomer Murders, Poirot and Foyle's War, as well as over 40 books, is one of the UK's most prolific and talented writers. His most recent work, the latest Sherlock Holmes novel Moriarty, is due to be published on 23 October and he recently announced that he'll be taking on another not insignificant task — that of writing the latest James Bond tale, Murder on Wheels. He is also an exceptional children's author, having penned the excellent Alex Rider series, and the Diamond Brothers comic mysteries. It's one of these tales, The Falcon’s Malteser, which has been adapted for a new stage production by New Old Friends (who brought us the Silly Songs of Shakespeare show). The tale is an homage to Film Noir and will be a pun-tastic journey with just as many laughs for parents as children. Living in London (his home is in Clerkenwell), has been a major inspiration for the polymath. "I am surrounded by hundreds of stories…plague pits, executions, secret passageways, and abandoned stations. It's extraordinary to be at the heart of it," he tells us. We chatted to Horowitz about the capital, Bond, Sherlock, and what it feels like to have someone else adapt your work. London plays a key role in The Falcon’s Malteser — from Trafalgar Square and Victoria Station, to Brompton Cemetery and Fulham. What’s the significance of these specific places to the story? London has always had a huge part to play in my books — it offers so many different backdrops for a writer. I love the way the old jostles with the new, how much there is in the city that’s undiscovered. I actually wrote much of The Falcon’s Malteser in the Brompton Cemetery. It was very quiet and the residents never complained. Have any London locations, apart from Baker Street, inspired you during the writing of Moriarty? I have used countless locations in London. Where do I even begin? Stamford Bridge, Putney, the Science Museum (Alex Rider). Camden Town, the Millennium Wheel, Sotheby’s (The Diamond Brothers). Covent Garden tube, Hampstead Heath (horror stories). My new novel, Moriarty, finishes in Smithfield. The list is endless. Do you think London will play a part in the James Bond novel you are currently writing? I’m not allowed to talk about the book — my publishers will shoot me. But Regent’s Park and Chelsea both feature. Where were you living when you wrote The Falcon’s Malteser in 1986? Have you ever been down on your luck living above a supermarket in Fulham like Nick and Herbert? I was living in a wonderful, shabby shared flat on the Fulham Road when I wrote the first book. You can see my old room — it’s above the archway, just up from the cinema. I wasn’t down on my luck but I didn’t sell books in large numbers for many years. You could say I got by! What do you like best about your home area of Clerkenwell, and has it inspired your writing? How can Clerkenwell not inspire me? Charles Dickens lived around the corner. Characters from his novels still inhabit the streets. I have the meat market just up the road, the Old Bailey opposite. I can walk to the Thames, to Tate Modern, to the National Theatre. I am surrounded by hundreds of stories… plague pits, executions, secret passageways, and abandoned stations. With Crossrail, the area is transforming. It’s extraordinary to be at the heart of it. 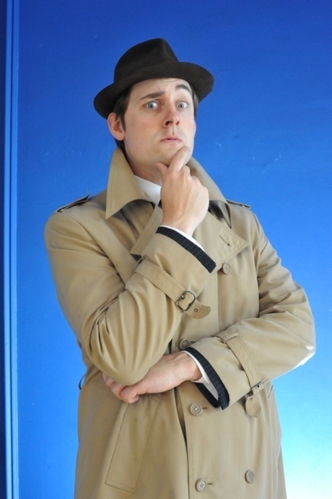 Feargus Woods Dunlop in New Old Friends' adaptation of Horowitz's book, The Falcon's Malteser. How did this stage adaptation of The Falcon’s Malteser come about? I was contacted out of the blue by [producers] Heather and Feargus… as I recall, the first time we met it was tea and scones in Bath. They were both so lively and so enthusiastic about the book and their ideas were so good that I agreed to let them have the rights. What part of The Falcon’s Malteser are you most looking forward to seeing adapted for the stage? I’ll be interested to see how New Old Friends manage to realise a book with dozens of locations, so much action and a whole host of characters with just one stage and a cast of four. I didn’t write the script, of course, but I’m glad they’ve kept most of my favourite jokes. As somebody who has continued the literary narrative of other writers’ works, specifically Arthur Conan Doyle and now Ian Fleming, how do you feel about others adapting your own works — and do you feel any sense of protectiveness over them? This is actually the first time that anyone has adapted my work — and because I trust New Old Friends, I haven’t been at all protective or interfering. If the play’s rubbish, the books are still there. In fact, you can buy them on the way out. The Falcon’s Malteser runs at Jackson’s Lane from 4-8 November. Tickets are available via the website. Moriarty is published on 23 October. There's chance to hear Anthony in conversation with Professor of Victorian Literature and Culture, Clare Pettitt (Kings College, London) and Sherlock exhibition curator, Alex Werner on 27 October at the Museum of London.